3 Learn to Defend Yourself! In general, our classes are formatted as follows: The one-hour and half classes begin with a 20 minute warm-up to help protect against injury and increase stamina and fitness. Following the warm-up, the instructors teach various techniques for about 40 min, so that the students have a full of arsenal of submissions, takedowns, sweeps, reversals, and escapes. Students’ questions are always welcomed during the technique portion of the class. Finally, the students engage in live sparring in order to practice and execute the various techniques that they have learned for the rest of the time period which is about 30 min. The Wall 2 Wall Martial Arts Plan: To Help You Achieve Your Goals. Whether you’re interested in physical fitness, self-defense, or even an athletic social outlet, Wall 2 Wall Martial Arts maintains a safe and positive environment for you to achieve your goals. Originating in Japan, Brazilian Jiu-Jitsu became a popular martial art form in 20th century Brazil. Mitsuyo Maeda, a Japanese immigrant, taught Jiu-Jitsu to several men including Carlos Gracie and Helio Gracie, who passed it on to their sons. Jiu-Jitsu’s popularity spread to the United States in the early 1990’s after Helio Gracie’s son, Royce Gracie, used it to win the Ultimate Fighting Championship. 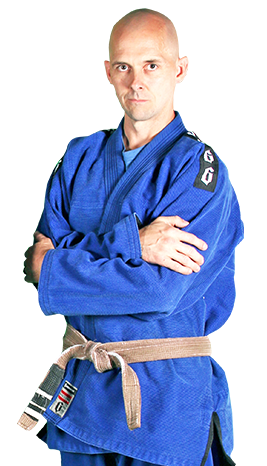 Following Royce Gracie’s success using Jiu-Jitsu in UFC matches, it has become an essential skill in Mixed Martial Arts (MMA). 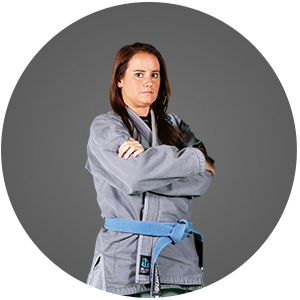 Brazilian Jiu-Jitsu is a highly-effective form of self-defense, which focuses on real-life scenarios one might encounter and teaches students how to resist them. The skills students are taught in class focus on technique and leverage instead using weight and strength. This will enable them to overcome attackers that might be larger and stronger than they are, making it an excellent form of defense for women. Students will also experience a number of health benefits from their Jiu-Jitsu training, including weight loss and improved cardiovascular health. At Wall 2 Wall Martial Arts, it is our mission to help you become a confident, focused individual with the life-transforming skills of Jiu-Jitsu. Our Adult Martial Arts programs are for ages 18 & up.